Rouge de Bourg: Play TIME! Wow, what is going on with this weather. It's been raining, raining and raining for days. I take the boys to the indoor play zone called Kidspace in Lausanne and then the sun comes out. Classic. 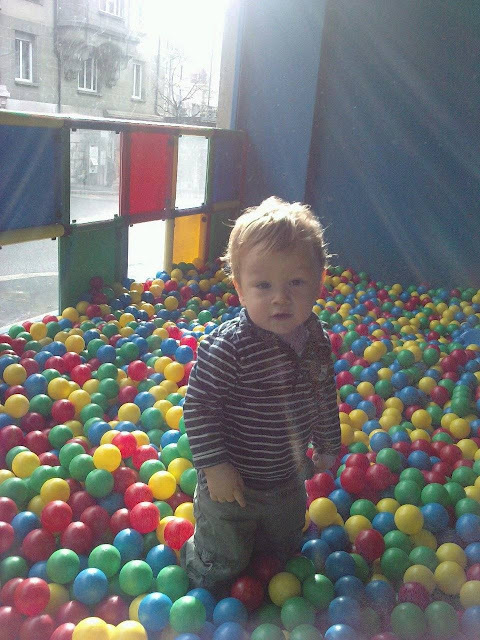 ﻿My little guy playing in the ball pit.